Posted on March 18, 2017 March 22, 2017 by TammiePainter in Books, Books, Books! 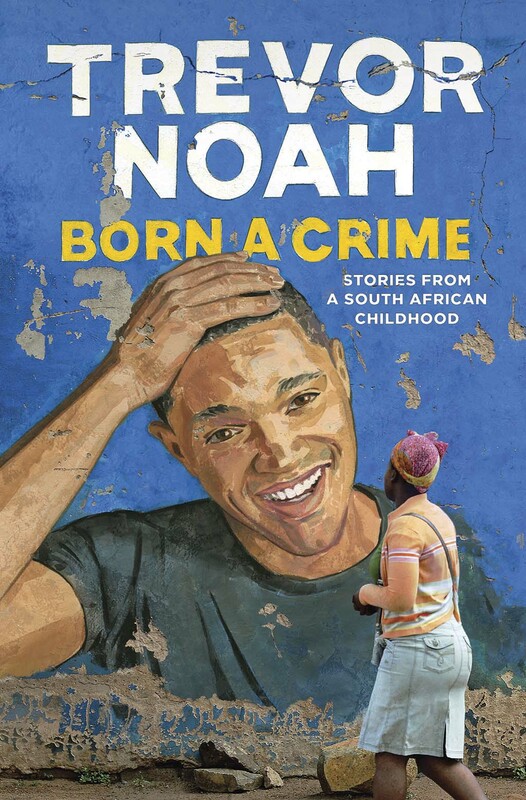 it’s book review time, which is good because I’ve been looking forward to telling you about my favorite read from the past month: Trevor Noah’s Born A Crime. Read Me A Story, Trevor. Born A Crime is Trevor’s autobiographical book about growing up as a mixed race kid in South Africa. When I learned about this book I knew I had to read it because I’ve heard him talk about his childhood a tiny bit before and wanted to hear more, and because I simply adore Trevor Noah. I was all geared up to check the book out from the library. Then I found out Trevor himself did the reading for the audiobook version. I mean, c’mon, seven hours of that cute little South African accent? Audiobook was the only way to go! Since he’s a comedian, I expected Trevor’s book to be funny. From tales of what a five-year-old does when he doesn’t want to go to the outhouse, to stories of not realizing his prom date couldn’t speak English (even after hanging out with her many times beforehand), the book is damn funny. But Born A Crime is so much more than a string of funny anecdotes. Without getting too heavy-handed, Trevor discusses – among other topics – the absurdity of classing people in or judging people by race, the need and importance of learning languages, and the strength of women. I can’t emphasize enough how much I loved this book. Normally, when listening to an audiobook, I get annoyed if my player “rewinds” and replays a section I already heard, but with Born A Crime, I was purposely “rewinding” to give certain parts a re-listen. So, go out and find this book NOW (I got mine from the library – yay, free books!!). And if you can, definitely opt for the audiobook version. Of course, not everything I read over the past month was a winner. My least favorite book I read, or tried to read, was Edward Rutherfurd’s London. I’ve enjoyed a few of Rutherfurd’s other books, but, despite my love of London the place, London the book just never grabbed me. If you’ve never read them, Rutherfurd’s books cover a long period of a location’s history. In the books he follows a few families as they progress through this history. It’s usually interesting and educational. Not London. Okay, it may be educational, but even after a couple hundred pages, I just couldn’t get interested in the lives of any of the families he presented. The characters and their stories just felt bland, and even the history (which I normally love) didn’t grab my attention. If you want to try Rutherfurd out (which I do recommend), just don’t start with this book or you may be put off his work forever. Any thoughts on either of these books? Go ahead and leave a comment or a recommendation! I’ll be back next Wednesday with some new art to show off and an update on how my show prep is proceeding. See you then!! I completely agree with you about Trevor Noah’s book. Though, unfortunately, i read the ebook, but I keep thinking i should listen to the audiobook, because as you say, that accent of his is very appealing. He does tackle serious issues in an amusing an entertaining way and though I’d read some stuff about apartheid, I learned even more through this book. I wonder if he’s going to write more books about subsequent years? I read London a long time ago and liked it, but I don’t think it was the first book of Rutherfurd’s that I’d read. I remember the Russian one being very interesting. I loved this book too. The audio version was fantastic. He’s a master at accents, and he’s now shown he’s a great writer too. His ability to jump from one accent to another is incredible! On the other hand, if you don’t like his books, they can double as a weapon, exercise weight, or furniture.